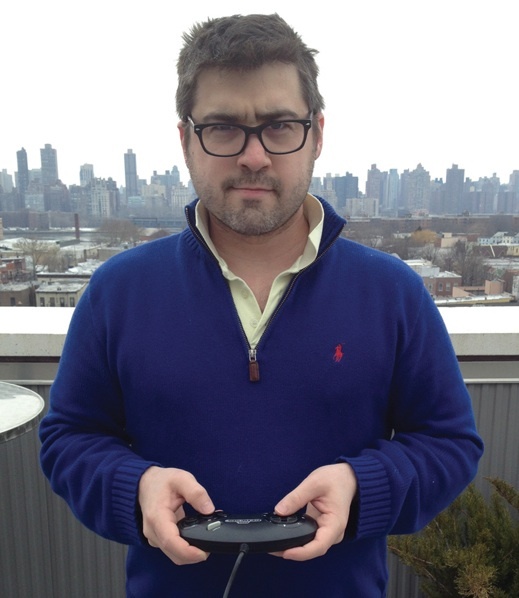 Blake J. Harris, author of the new book CONSOLE WARS: Sega, Nintendo, And The Battle That Defined A Generation, stopped by to chat narrative nonfiction, NHL ’94 and the feature film adaptation of his work. How did you come to write Console Wars? By accident, almost. Before I set out to write a book about the behind-the-scenes war between Sega and Nintendo, I actually just wanted to read something on the topic. I’m 31 now and I was a happily oblivious kid while this corporate battle was going on, so I figured that there must have been all sorts of fun stories and intriguing business strategies that fueled this rivalry. When I began speaking with executives from both companies I learned that there was even more excitement and drama than I could have ever imagined. And that’s when I decided that this book deserved to be written; not just to satisfy the curiosity of people like myself, but to shine a light on this industry pioneers who had not been yet received the credit they were due. Console Wars is written with a narrative style which makes for a compelling read. How did you arrive at the choice to present it in that format or was that always the intended direction? As important as it is to deliver the “who, what, where when, and why,” it can often be just as incomplete or misleading. So a large degree of life is a matter of context, which is why when it came to writing CONSOLE WARS I decided that capturing the spirit of the times, and the thoughts, feelings and motivations of these characters were important to me as any fact. That being said, this is of course a non-fiction book. So every step of the way it’s the facts that serve as the engine to the narrative. But instead of simply reporting what happened, I set out to transport readers into the story so they could not only watch it play out before their eyes, but also feel what it was like to be in the room and surrounded by an extraordinary cast of industry pioneers. In my opinion, to do any less would have been a disservice to these incredible characters. 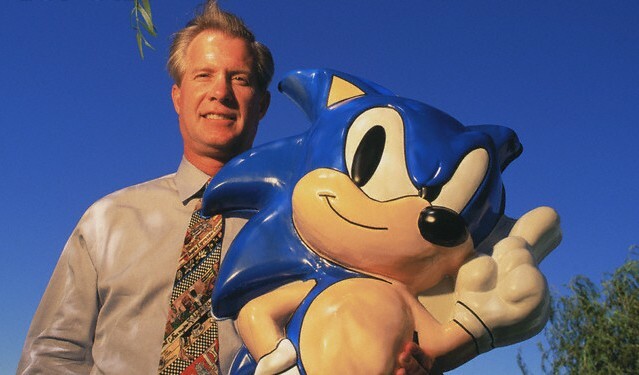 I found the story of Tom Kalinske’s success fascinating – the man had accomplished so much in his career even before arriving at Sega! Was he a difficult man to track down? Was he hesitant at all to get involved with Console Wars? I worked on this project for over three years and I’m still amazed at how many extraordinary things he’s accomplished in his career; before, during and after Sega! Through a writer named Travis Fahs who had interviewed Tom for an IGN piece he did on Sega’s history, I was able to get in touch with the man, the myth, the legend. So opening a line of communication with Tom wasn’t a gigantic challenge but selling him on why he should spend time talking to me, a writer with no produced film credits and zero previously published books, was the tough part (at least in my head). But to my delightful surprise, just as Tom appears in the book (calm, kind, clever) he was willing to take the risk and speak with me for a few hours. We hit it off and I think he really appreciated my desire to tell the story in a way that went beyond the games and focused on the business of this important era of gaming. Throughout writing the book, we spoke at least once a week for three years (and during the heavy writing periods, often a lot more than that) and I sincerely could not have asked for a better interview subject. He always made time for me, always pulled great stories out of his hat and always-always treated me with kindness and compassion, regardless of the difficulty of my questions. 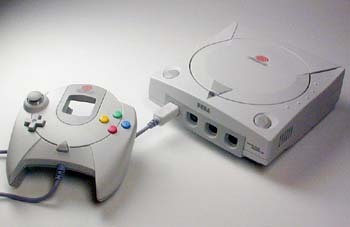 The book mainly concentrates on the battle between the Sega Genesis and the SNES – did you find out much about the Dreamcast and what went into its creation as well as its untimely demise? Unfortunately I did not, although I think the seeds of destruction are planted (or at least hinted at) towards the end of CONSOLE WARS. Personally, I loved this story so much that I was sad to end the story in 1996 and would have loved to keep going until today, but from a narrative standpoint it made sense to conclude the book shortly after the launch of the Sega Saturn, Sony PlayStation and right before the launch of the N64. This decision, like many I made throughout the book, goes back to the notion of trying to tell a story versus simply deploying interesting information. So there’s no doubt in my mind that the Dreamcast era (as well as the time beyond that as well) could be told in a very interesting way, but for it to be done properly it didn’t make sense within the scope of this narrative. Having both Seth Rogen and Evan Goldberg involved in the feature film adaptation must be exciting! How did you come to work with the writing duo? 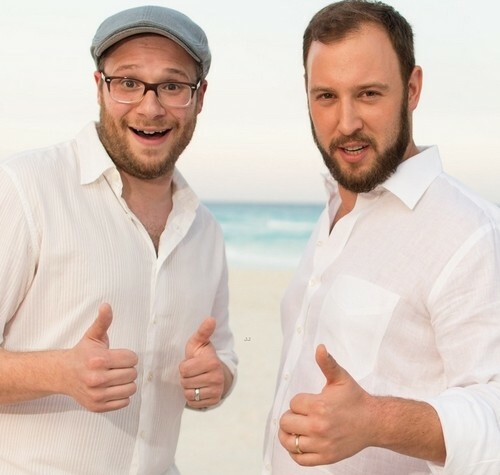 The credit for involving Seth Rogen and Evan Goldberg belongs to Julian Rosenberg (my literary manager), who packaged every aspect of this project (book, documentary and film) from start to finish. After getting an early draft of the book proposal over to Seth, Evan and James Weaver (the other principal producer at Point Grey Pictures), myself and Jonah Tulis (who is co-directing the documentary) flew out to LA and we spent a couple of hours talking with the guys about Sega, Nintendo and the dreaded Turbo-Grafx. From there, we hit it off and decided to work together. I can’t speak for them, but for me it was absolutely a dream come true. I can imagine with the release of Console Wars, you’ve been a very busy man. Have you had time to check out any books recently? What have you been reading? Any recommendations? I read in another interview recently that you were a big, big fan of NHL ‘94? Have you played any of the more recent iterations of the series? If so, what did you think of the NHL ‘94 anniversary mode in this year’s edition? I loved it. It brought back great memories (and cemented the eternal addiction even more). I get frustrated walking down the streets of New York and not being able to cross-check tourists like in the game. 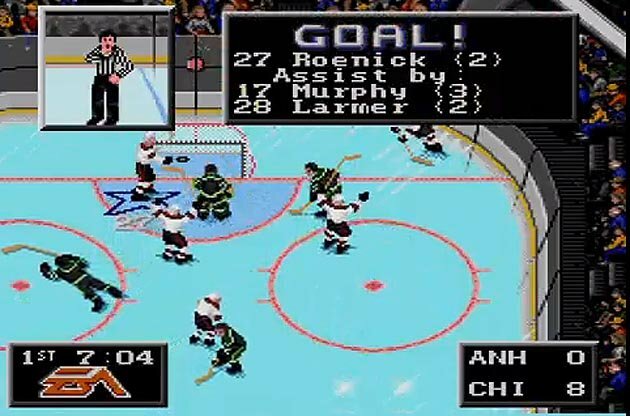 NHL ’94 on the SEGA Genesis. Given their current financial troubles (aside from the handheld market), Nintendo appears to have taken the role of the underdog against the two giants in Sony and Microsoft. Do you think they have the ability to once again reign supreme? I honestly do. They’ve taken their lumps these past few years and the Wii U is not performing how they hoped that it would. There’s a lot of reasons for this—some marketing-related, others demographic-based—but the most important takeaway is that they still make incredible games and as long as they keep doing that, I think they’ll be a-okay. And, for whatever it’s worth, the only next-gen console I currently own is a Wii U. Have you thought about what you’d like to pursue next? I want to thank Blake for stopping by and answering a few questions about his new book, CONSOLE WARS! If you want to hear my thoughts on the book, check out my review. June 5, 2014 in Blake J. Harris, Interview.